Gift Bricks® has been providing successful engraved fundraising products to thousands of customers since 1983. 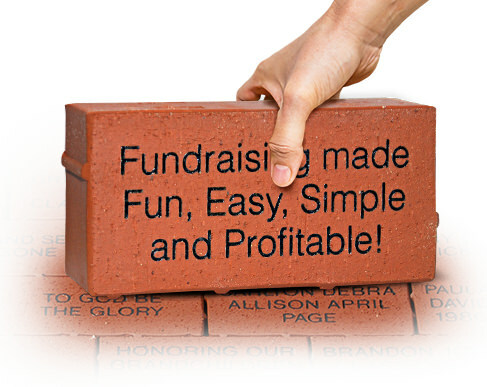 Gift Bricks® makes it easy to raise money for fundraising. Discover how an engraved brick or personalized tile program by Gift Bricks® can help you achieve your goals. #1 in donor recognition engraved bricks, custom engraved pavers, personalized tiles, brick engraved paths, memorial brick programs, bronze plaques, aluminum plaques and donor recognition tile walls. FREE guidance is provided from concept, development, brick sales, installation, and continuing sales. Many brick sizes available: concrete bricks, clay bricks in 4×8, 8×8, 8×16, 12×12, 16×16, 20×20, and custom cut sizes up to 24×24 and larger. Gift Bricks® has over 30 years of experience with memorial engraved bricks and donor personalized tiles. We have been involved with over 7 million square feet of brick installations. Gift Bricks® knows the proper bricks, pavers, and personalized tiles for every brick & tile donor application. 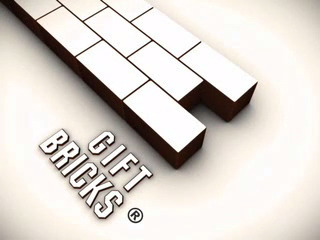 Gift Bricks® is the originator of a special proprietary process of epoxy fill in engraved bricks & tiles. We even include a Lifetime Warranty on the engraving. Let our leadership and experience show you how to raise more profit with less effort. Our Gift Bricks staff is eager to help you on your way to successful fundraising. Many brick engraving processes available: epoxy fill, laserblasted engraving, engrave & painted, engraved brick only. There are many hardscape materials available for engraving.